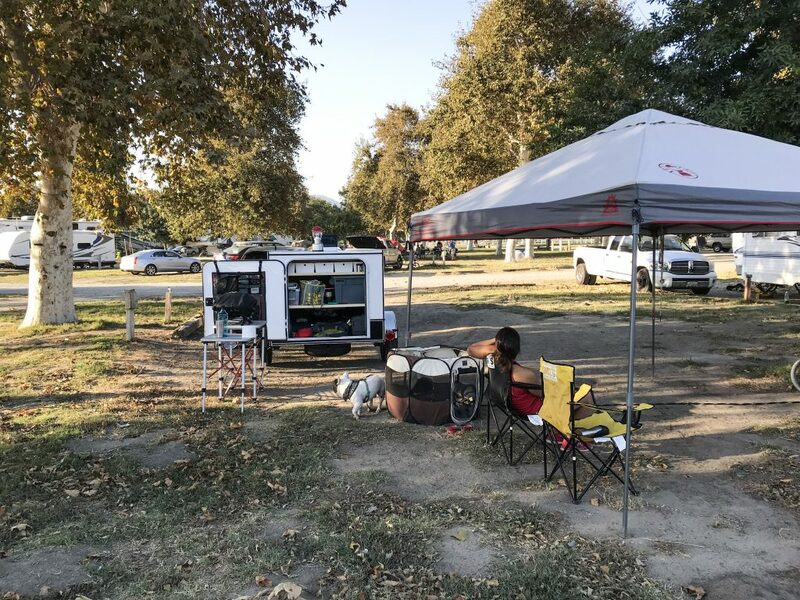 An overview and review of Rancho Jurupa Park campground in Riverside, California with campsite photos, tips and things to do at the park. 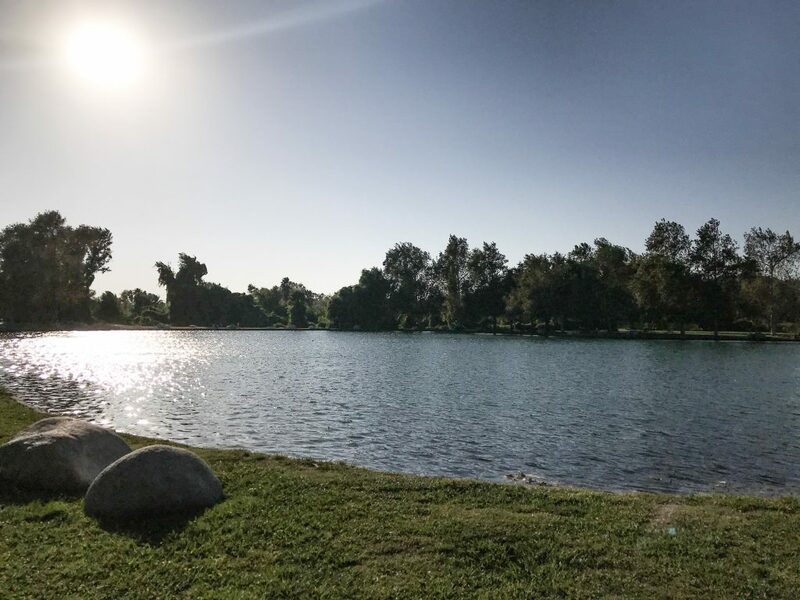 Rancho Jurupa Park is located along the Santa Ana River located near downtown Riverside. 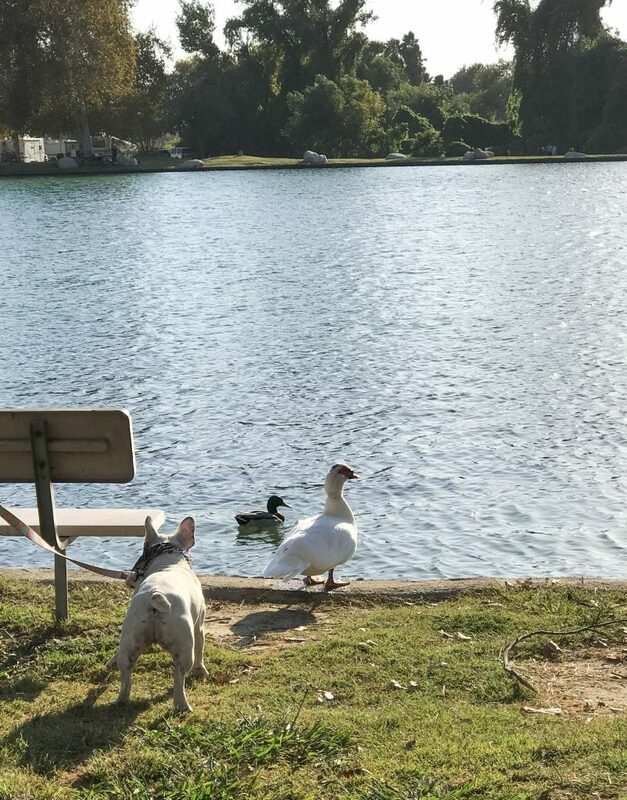 There are two campgrounds at Rancho Jurupa park: Lakeview and Cottonwood. Lakeview is nearest the lakes which is popular for both RV and tent campers. Cottonwood is an RV campground that includes laundry facilities. The grounds are beautiful and it’s great to take a walk around the lake or go fishing if you like. There are plenty of activities so there’s something for everyone. There’s also access to the Santa Ana River trail for hiking and mountain biking. When we went, it was pretty windy and because it’s near an open field, a lot of dust and debris was flying around so it’s something to be aware of depending on the weather. Spots are pretty close together. This is a nice spot to come stay for a couple days especially when the weather is good. With plenty to do, there are lots of activities for the entire family.